I’ve been involved in computing and electronics professionally for my entire adult life. I’ve also been a keen photographer for a long time, buying my first SLR camera many years ago. With the advent of digital photography, my professional and personal interests were combined in a unique way. 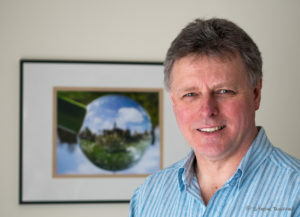 In the early 2000s, I gained a qualification in education and started teaching digital photography to evening class and summer school students and I continue teaching groups and individuals today. For more information about the courses I run at Marlborough College Summer School, visit the Courses page. To make enquiries about more bespoke education, please send an email via the Contact page. I still find time to take photographs and work with them to create interesting images, occasionally entering them into competitions. Runner-up in a competition at Lacock Abbey, home of William Henry Fox Talbot, who invented the negative process that dominated photography until digital technology came along. My first solo exhibition, running in the Wallspace gallery in the Winchester Discovery Centre (WDC). Although many photographers specialise in a particular genre, I like to turn my hand to almost any type of image. Visit the galleries to see some of my favourite images – many of them are available for purchase – please contact me for more details. For anyone interested, I mainly shoot with Olympus micro 4/3 gear. My first film SLR was an OM-1 and, apart from a brief dalliance with Yashica and Canon in the 90’s, I’ve always used Olympus for my main camera. It doesn’t bother me too much to be asked, “Do you shoot Canon or Nikon?”.